In this explanatory essay, a third-grade writer explains how to plant a garden. If you like to plant a garden follow me. First you go to the nursery. Then you get some seeds like bean seeds or another kind of seed. find a place to plant your seeds Then dig a hole. Cover the seeds with lots of dirt. Then water them every day. Planting a Garden by Thoughtful Learning is licensed under a Creative Commons Attribution-NonCommercial-ShareAlike 4.0 International License. 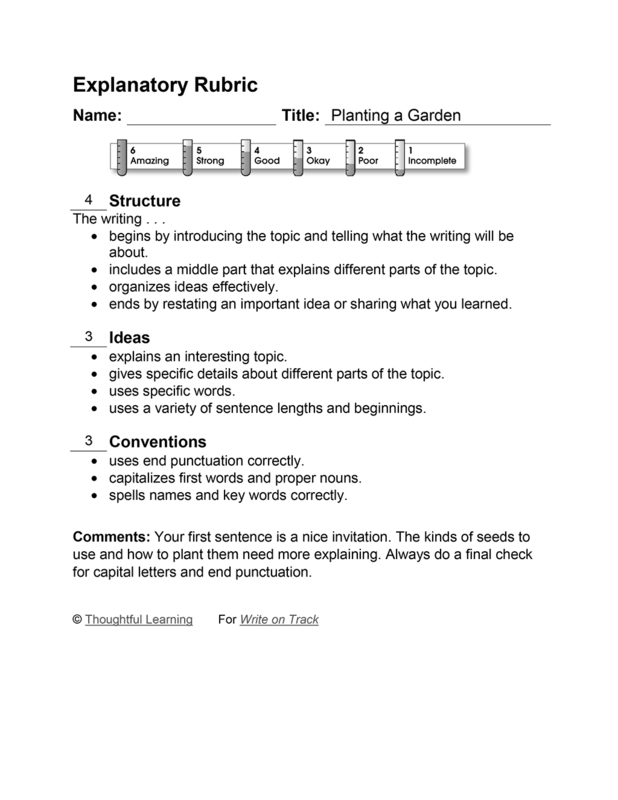 Based on a work at k12.thoughtfullearning.com/assessmentmodels/planting-garden.